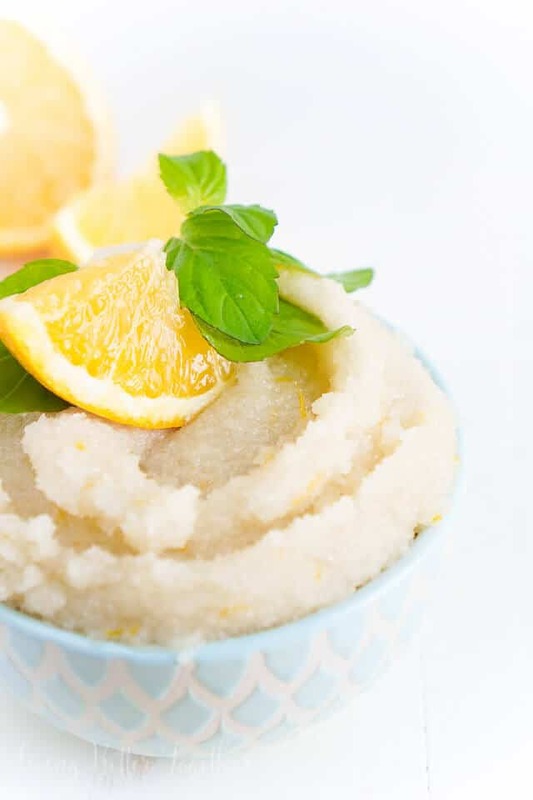 This Orange Mint Sugar Scrub will leave your skin feeling bright and rejuvenated! 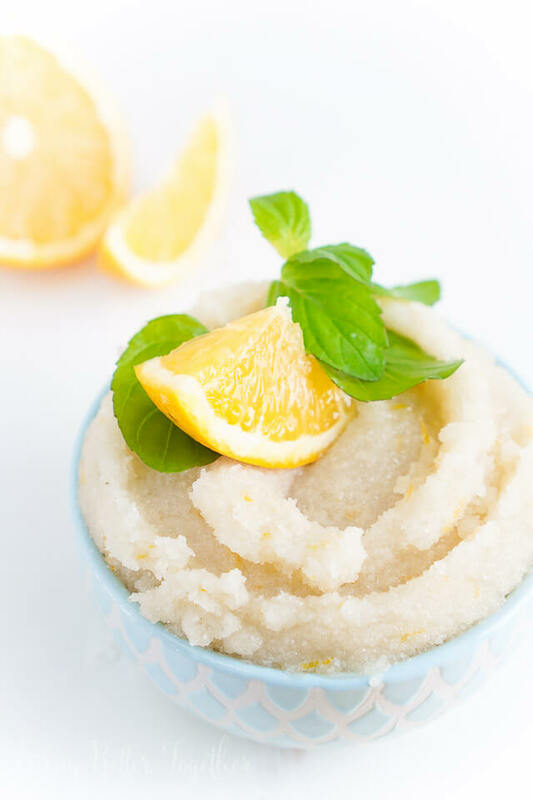 Since you guys loved my Gingerbread Sugar Scrub, and you still do even though it’s the middle of summer, I thought I’d bring you something a little more light and refreshing to swap it out with until the holidays come back around. Lately, I’ve been on a serious mint kick, I just want to add it to everything! At the office, one of the attorneys brought in some Orange Mint for me to grow in our firm’s rooftop garden, I’m kinda of in love with the stuff now! It has such a sweet and subtle fragrance, but minty all the same. 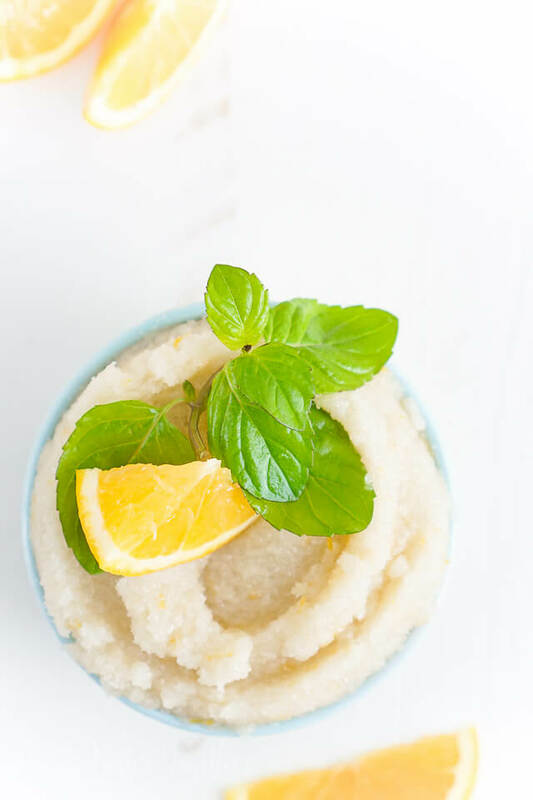 It’s been inspiring all kinds of fun ideas for the blog, including an Orange Mojito which you’ll see next week and this Orange Mint Sugar Scrub. 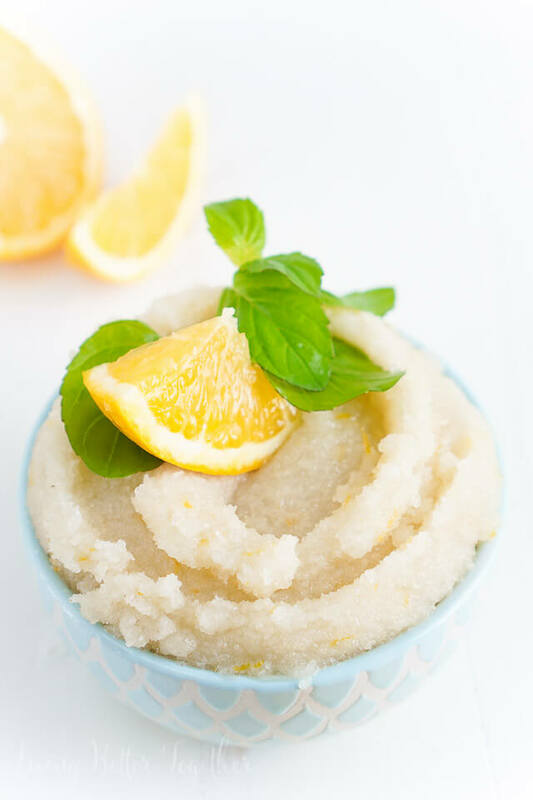 This sugar scrub is made with coconut oil, pure cane sugar, orange zest, and essential oils. That’s it! It’s so simple to mix up, which means your skin will be feeling all kinds of luxurious in no time! It makes a great gift too! Add sugar and coconut oil to a large bowl or stand mixer fitted with a paddle attachment. Mix together on medium speed until well combined. Add remaining ingredients and whip until light and fluffy, about 30 seconds. Adapted from The Kitchen McCabe. I can hardly wait to try this recipe. 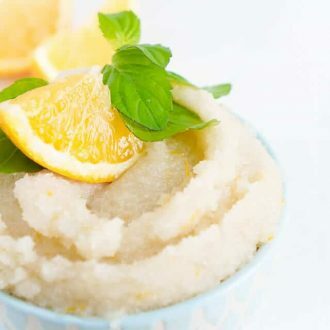 I am completely in love with sugar scrubs and can’t believe I can make this on my own!